I accepted the Lord at thirteen years old and had no problem sharing my faith with friends in junior high and high school. Not only was I a Christian, but a wrestler too. Wrestling gave me an audience to spread the Word, so I made a T-shirt that would show evidence of my faith. The front of the T-shirt said, “Evergreen Wrestling” and on the back was, “Powered by Jesus.” The shirt opened opportunities for me to witness to others. Some were offended by it, but I didn’t care. Unfortunately, the person most offended was someone I greatly admired-my wrestling coach. At a meet he jokingly said, “Hey, Glabb, why don’t you get a new shirt? Something like ‘powered by baked beans.’ ” He chuckled and I just shrugged it off. A week later he pulled me into his office and told me he was an atheist. He said, “Don’t preach to me about God and I won’t preach to you about atheism.” I was taken back a bit, but I respected his beliefs. Most teenagers would have steered clear after that. However, our relationship continued, and I still learned the sport from him. I even wrestled at the same college at which he had wrestled. Twenty-five years have passed, and I still keep in touch and visit with him today. I am thankful that God gave me the grace to accept my coach and allow him to teach me. Though he was not a Christian, he was still a positive influence on my life. I sometimes wonder where I would be if I had refused to learn from him. Would I still have become a coach? Probably not. 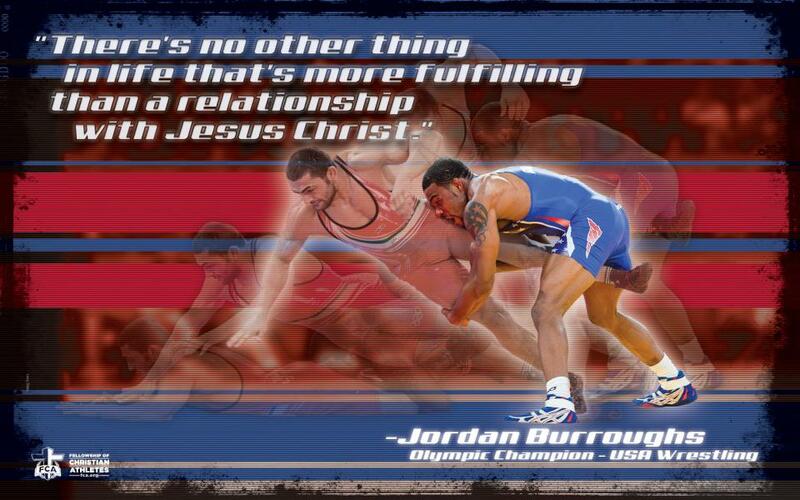 Today, my wrestlers wear T-shirts that say, “Wrestler for Christ.” They share the same message with students and teachers that I did over two decades ago.